We all exist in a watershed. It means you’re a part of an environmental system where natural boundaries direct drainage towards a large water body, usually the ocean. Before humans disrupted these systems, water-carved landscapes for millions of years, creating symbiotic relationships between biota and geology. Water arrived at the sea, purified to deliver the perfect amount of nutrients and sediment so coastal wetlands, beaches, and reefs thrived and supported incredible biodiversity (and surf breaks). Today the situation is different. If you’ve seen Surfrider’s Cycle of Insanity, you know our mismanagement of water is destroying watersheds, and therefore beaches and surf breaks where they empty. Damaged watersheds around the world threaten our oceans like never before. No matter where you live, everything you do has an impact downstream. This is as true in life as it is in the environment. Our actions impact the people around us every day. StokeShare Ambassador Alison Teal getting Pump for this Stoker’s first wave! When we started StokeShare our goal was bigger than starting a sharing economy platform. We are a mission that became a company. StokeShare is an online platform that connects people to rent each other action sports gear. Think Airbnb meets REI. My co-founder, Warren, and I are of the belief if your business doesn’t enhance the environment or community, it’s not a viable business. The future demands more. We knew from the outset if we did this right, built the world’s library for outdoor gear, we’d have an opportunity to do something special as social entrepreneurs. Our vision is to build the library and give kids from disadvantaged communities around the world a library card. What excites us about this idea is that we can help address multiple problems at once. Kids today suffer from Nature Deficit Disorder, as famously coined by Richard Louv in his book, “Last Child in the Woods.” The planet needs a future filled with humans committed to restoring balance with nature. To realize this future, we have to make sure kids spend time outside, immersed in it, so they grow up inspired to protect it. Plus studies show time spent in nature directly correlates to creativity and learning capacity. As kids spend less time outdoors, their media consumption skyrockets. We aim to change that. And then there’s the Opportunity Gap. Kids from low-income families, single-parent households, and disadvantaged communities continue to move through the system unprepared to compete in a global economy. Luckily, while political institutions fail to address the problem, there are amazing organizations like Stoked Mentoring passionately committed to solving it. Stoked is a non-profit that helps close the gap between low-income and middle-class kids through action sports, mentorship, and programs that prepare kids for college. They believe that riding a wave, building a skateboard, and gliding down snowy mountains can show teens that they are capable of greatness, despite the odds against them. Turns out they are right. Voted one of the 100 most innovative businesses in New York, Stoked is producing results. In communities where high-school graduation rates are dramatically below national averages, Stoked kids are graduating from college. They are returning to their communities as Mentors so they can positively influence the next generation. It’s the ripple effect in the watershed. A simple idea to transform a young person’s life with action sports is perpetuating a feedback cycle where this movement can explode. 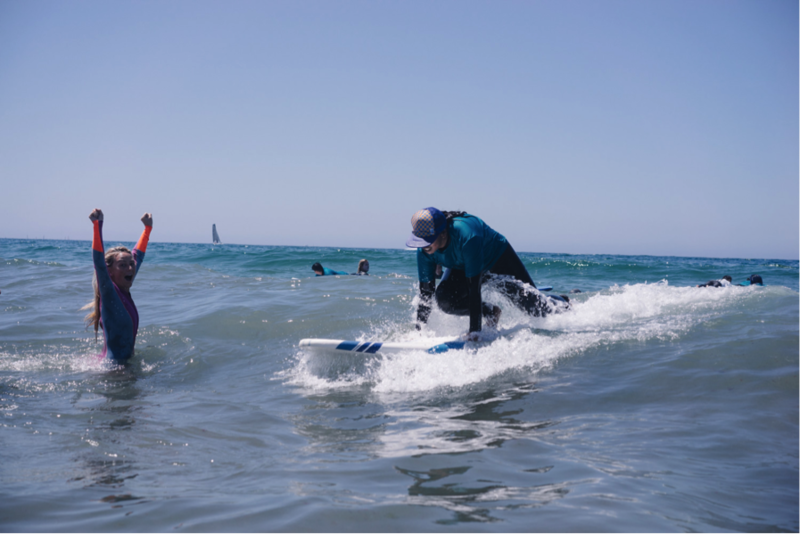 This is why I’m proud to be a Stoked Igniter and why I am incredibly grateful StokeShare gets to partner with Stoked to take kids surfing in Los Angeles. Our missions are aligned. We are One Watershed. Everything we do will have an impact downstream. Join us to make sure that impact improves the lives of others and the planet. 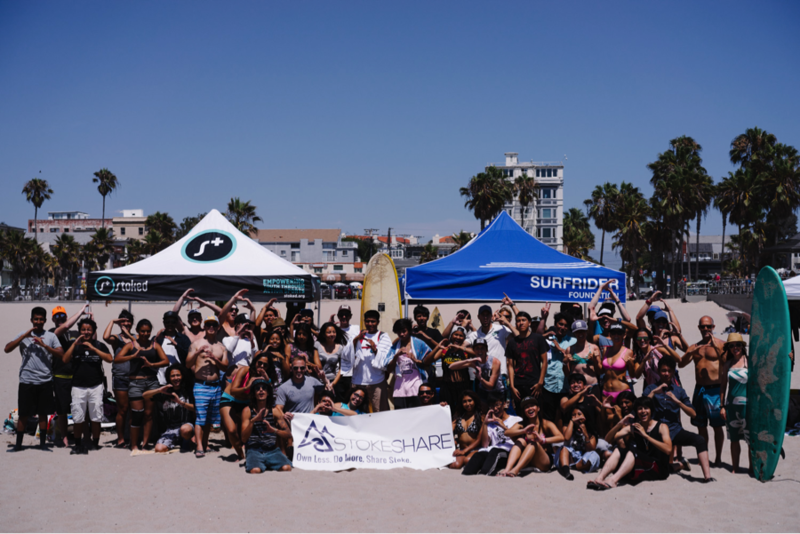 Stoked Mentoring, StokeShare and the Surfrider West Los Angeles/Malibu Chapter are partnering for two surf outings coming up in July at Venice Beach in LA. We welcome volunteers! StokeShare, Surfrider, and Stoked join forces for a day of pure awesomeness for these inner-city Angeleniños.